• It requires employers with 50 full time employees (or equivalent) to offer affordable health coverage to their full time employees. If you need health insurance for yourself or your adult child, one option is to purchase individual plans from the NH Marketplace. You must do so during ‘Open Enrollment’ which runs every year from Nov 1st to January 31st of the next year. There are exceptions to this if something has happened which resulted in a loss of coverage such as a loss of a job, the need of a COBRA plan or a child aging out of Medicaid.These special circumstances allow you to buy a plan from the marketplace at other times of the year. This is called ‘Special Enrollment‘. You might also consider purchasing an individual plan outside of the NH Marketplace- which would also need to be done during open enrollment. Please see our individual health insurance page for more information and considerations. You can view the plans on Healthcare.gov or by going to the NH Insurance Department’s webpage. New Hampshire Health Access Network – The New Hampshire Health Access Network is a voluntary effort by health care providers to improve access to health care for low-income children and adults statewide. NHHAN is not an insurance program. It is a discount program based on the applicant household’s income and assets. ♥ NH Family Voices is available to answer questions and help families understand aspects of the Health Insurance Marketplace as it relates to having a child with special healthcare needs. Call us at (603) 271-4525 and we would be happy to help. The Covering New Hampshire is a statewide effort by the New Hampshire Health Plan, Covering New Hampshire is the official, free resource for Granite Staters to learn about the Health Insurance Marketplace, the New Hampshire Health Protection Program and the new, affordable health insurance plans that are now available to you. 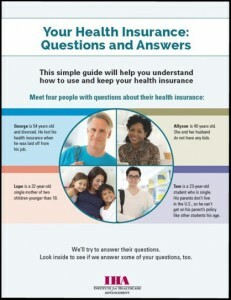 ♦ Helping you understand the new health care law and how it affects you. ♦ Serving as a resource to help you learn about the New Hampshire Health Protection Program and the Health Insurance Marketplace. ♦ Providing you details about the new health insurance plans that are available to Granite Staters through the Marketplace. ♦ Informing you about the financial assistance that is available to make health insurance affordable. ♦ Connecting you with the Health Insurance Marketplace and the New Hampshire Health Protection Program online or by phone. ♦ Connecting you with in-person assisters around New Hampshire who will help you through the enrollment process step-by-step. ♦ Connecting you with other New Hampshire organizations that are here to help you get covered. 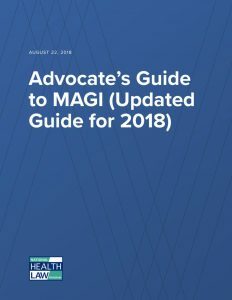 NHeLP's MAGI Guide has been a leading resource on Modified Adjusted Gross Income methodologies used to determine financial eligibility for multiple insurance affordability programs, including most Medicaid categories, the Children's Health Insurance Program (CHIP), as well as Premium Tax Credits and Cost Sharing Reductions for health plans purchased through the Affordable Care Act (ACA) Marketplaces. 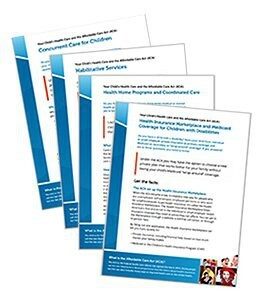 • Concurrent Care for Children: Under the ACA, children with life-threatening health problems who are enrolled in Medicaid can get both curative treatment and hospice care. This is called concurrent care. • Habilitative Services: Under the ACA, many health care services that can help your child with the skills he or she needs for everyday life (called habilitative services) must be covered by insurance. • Health Home Programs and Coordinated Care: Under the ACA, your child may be able to get extra care coordination and support services from your doctor through a Health Home program in your state. 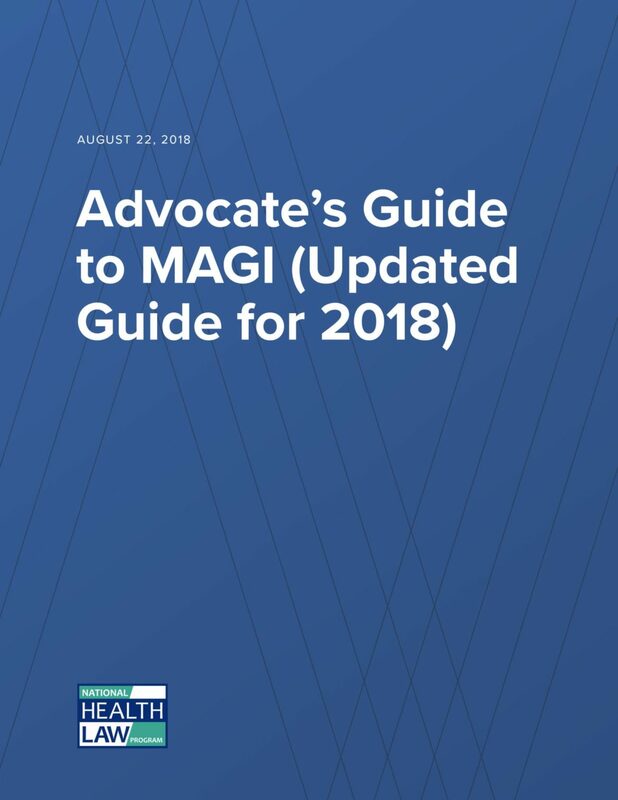 • Health Insurance Marketplace and Medicaid Coverage for Children with Disabilities: Under the ACA, you may have the option to choose a new private plan that works better for your family without losing your child’s Medicaid “wrap-around” coverage.